I posted earlier about how to peel tomatoes by boiling them for a fraction of a minute and then peeling the skins right off. It's easy, but in the middle of the summer it can be pretty annoying to have to boil a big pot of water. 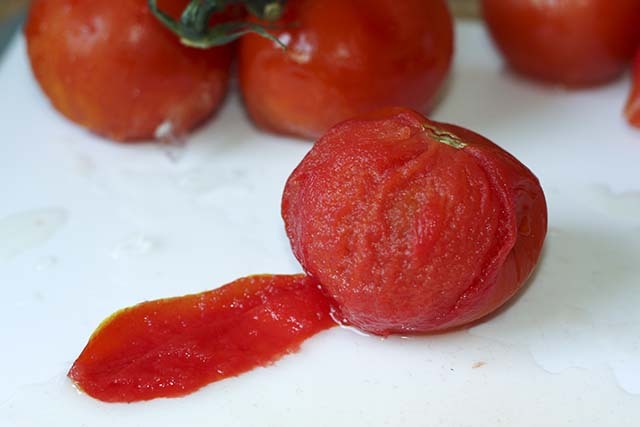 But there's another, more summer-friendly way to peel tomatoes using the freezer. No boiling required. 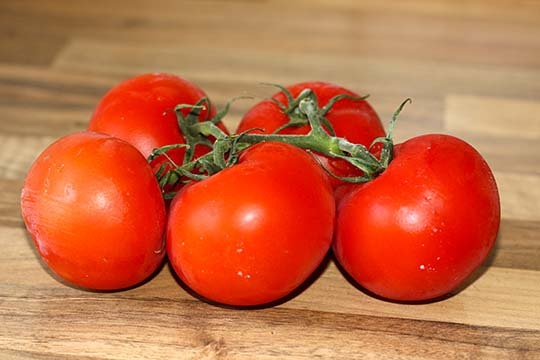 Peeling tomatoes in the freezer is actually a lot more time-consuming than the boiling-water method, but very little of that time involves you actually doing anything, so it's less hands-on overall. 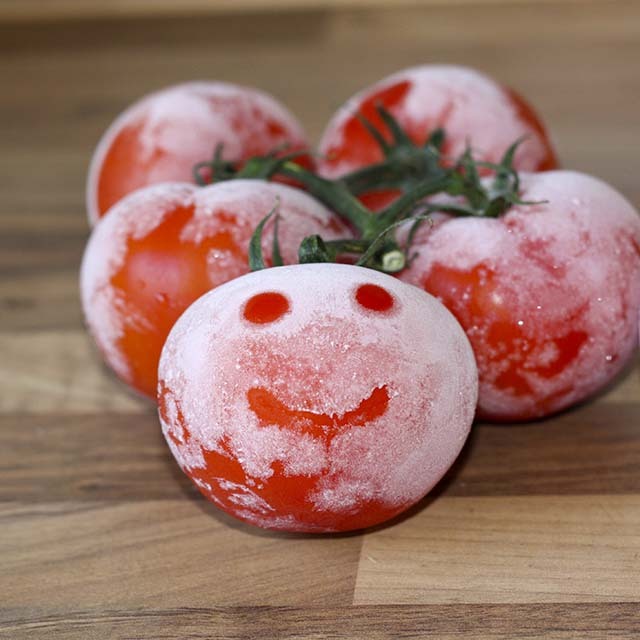 First you throw some tomatoes in the freezer and let them freeze. A few hours before you want them again, take them out. Leave them on the counter for a few minutes and they'll frost up. Continue leaving them on the counter until they are thawed out. This could take a while. Freezing and thawing the tomatoes does change their texture significantly, so you wouldn't want to use these peeled tomatoes for sandwiches or salads or anything where you want the tomato to not be mushy and mealy. But for sauce purposes, this works just great. The tomato will be cooked down in the sauce anyway so the texture doesn't matter at all.